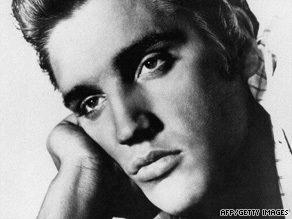 Today marks the 33rd anniversary of the death of Elvis Presley, aka "the King." Today on Elvis' birthday and the 70th anniversary of Graceland being built, it's a bittersweet time to remember the life and joy we had at Graceland while Elvis was alive. Riding horses, racing with the golf carts, the home cooked southern meals and all of the gatherings with family and friends made it a playful, fun and loving time. We always celebrated Christmas and, of course, his birthday. This was a very special time of year. You'll note the Christmas decorations are still up. It was Elvis' tradition to keep them up through his birthday. This was a very special time of year. You'll note the Christmas decorations are still up. It was Elvis' tradition to keep them up through his birthday. KEEP THEM UP!!! LISA GIRL!!! YOUR FATHER IS ONE OF THE "BEST"!!! LOVE ELVIS ALWAY"S!!! "BLUE CHRISTMAS"!!! I KNOW THAT "FEELING", AHHH, I MEAN SONG!!! BEST WISHES TO ALL!!! I am a huge fan of Elvis Presley and i not only like to listen to his music on his birthday or date of death but i enjoy it every single day of my life, i have also visited Graceland and enjoyed every minuute of it. I would like to send my deepest sympathies to the Presley family on this 33rd anniversary of the loss of The King. Having not being able to be at Graceland to observe the anniversary of Elvis' death, I myself, had my own candlelight vigil having lit numerous candles in my home this morning and they are still burning now. Rest in peace Elvis....we love and miss you so much. You will always live on through us, your fans. I will never forget where I was and what I was doing when I heard the news of Elvis's passing. Sadly it was to be repeated when John Lennon was murdered and again when Michael Jackson slipped this life. 3 music icons that have earned their places in history, all of them gone much too soon. When I look at this photo, I really see how much his granddaughter who is going into acting looks like him. Lucky girl! There were women much closer to Elvis than Priscilla. I wish we could hear from them, including Ms. Thompson. In you song Until It's Time For Me To Go you said: " I'm not a king, just a man, hold my hand." To us, you are still king and we still hold your hand though you are long gone. Slumber in peace, dear Elvis. Can never forget the King of Rock 'n' Roll and his golden voice. 33 years gone already and it seems just like yesterday, that I can remember it vividly. Elvis sure was blessed and he was unique. What a man. Thank him for the music, entertainment and larger than life personality. God bless Elvis and his family always. Thank you for keeping Elvis' Graceland legacy alive. Elvis indeed had one of the most majestic voices ever, which really came out in his gospel songs. None other could do the gospel songs like he did and with so much soul. I finally visited Graceland last November, the Thanksgiving crowd was gone and we had a wonderful VIP tour, the home was such a moving and strangely living place, we expected him to come strolling in the door! I grew up listening to Elvis and memorizing the words to his songs.I also watched his movies.I thought Elvis would be around forever.When he died,it felt like I'd lost a family member.I wish I could have attended one of his concerts.Someday,I hope to make it to Graceland to pay my respects.I appreciate receiving a thank you card from Elvis's father Vernon for a sympathy card that I sent to him, and Priscilla and Lisa Marie.It's I who thank him and Elvis's mother for sharing their son with the rest of the world.They'll never be another like him.My love goes out to Elvis's family.He's singing those beautiful hymns in Heaven now. I was a huge fan of elvis. I had a wall size picture of him in my bedroom and it was his face i looked at before i slept. I was only 11. I found out he died when I went to the store and I was shocked to see it in the news. I always wondered how Lisa Marie would feel growing up in the spotlight. The media made elvis's life a circus with stories about his life. I was a huge fan of Michael Jackson and Listened to his songs all throughout my adolescent life. His music moved my emotions as did Elvis's. Michael was hunted down by the media and unfortunately he died too. I was in shock once again. Both were my favourite artists. They were both very charismatic and genuine entertainers. I wish Elvis's family as well as Michael's family all the strength. Unfortunatley I'm alarmed at the rate famous people die in LA because of prescription medication. Something needs to be done with the system there in practising medicine. Elvis and Michael will always be remebered by me as the King of Rock and the King of Pop. Both of them were seeking social approval and love.